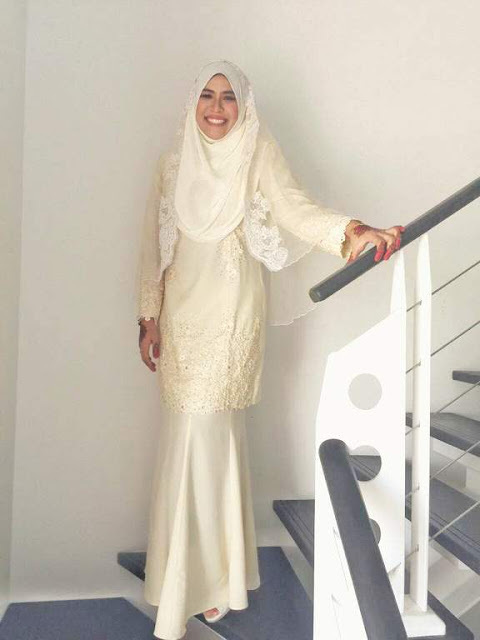 The story of my akad nikah attire was a very funny and wasteful one. Anyone close to me will tell ya that I am an organized person. I'll plan things in advance and I'm not so much of an impulse decision-maker. So the story goes .. 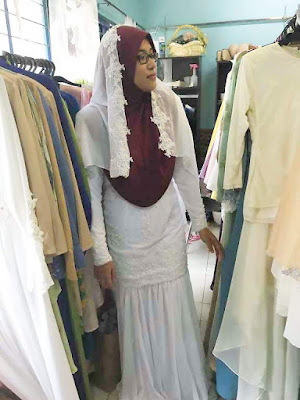 I went to book my nikah attire (kurung) with a relatively well-known tailor in Ampang (she had 180k likes in FB, mind you). She had quite a sizable portfolios and samples for you to choose from. The only thing was that, most of the nice nikah attire she made, was for thin ladies and they were quite body hugging which was a big no-no for me. So when she took the measurements, I already told her countless times to make mine a lot more loose. During the first fitting, the kurung was wayyyy too tight. So I asked her to loosen it up a bit. When I came for the second time, it was much better. However, it was still a bit fit for me. 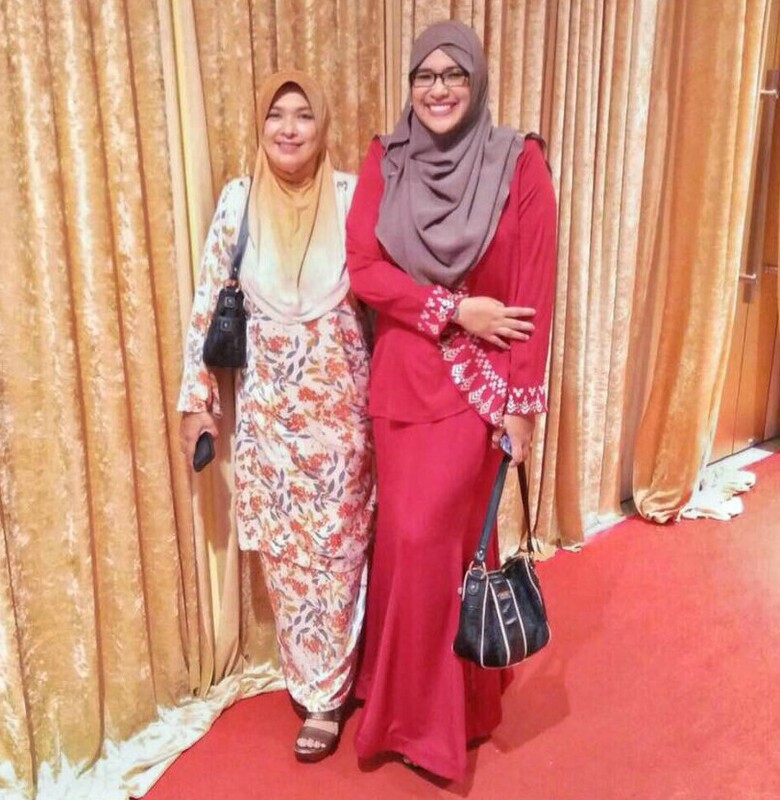 Bayangkan duduk bersimpuh in that tight dress. Even if it's NOT held at a mosque, I don't like figure hugging clothes. 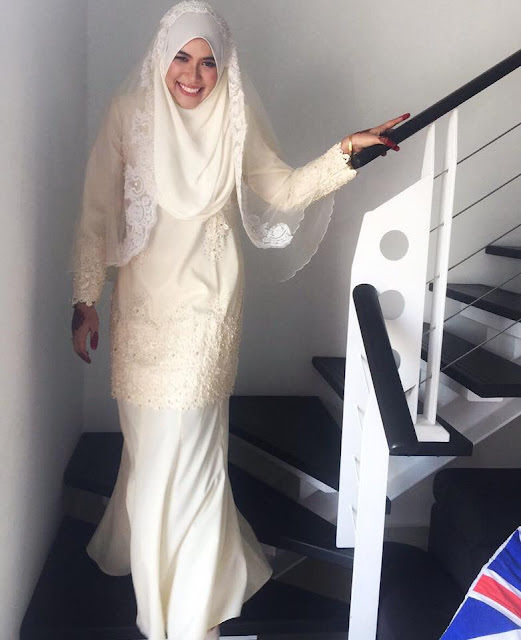 Niat suci, biarlah tutup aurat dengan sempurna. So again, I told the tailor to open up some of the seams to loosen it up more. Unfortunately, the tailor sew the dress with no much extra space so I'm left with that. And the veil that she charged me RM100 (very cheap I know) looked like a RM10 piece of crap. I went home feeling torn. Betul ker nak pakai baju nie? Baju ni seksi.. Tapi dah bayar. Thankfully, I had a very understanding fiance. I dragged him to a shopping mall to buy an off-the-rack kurung a few days before akad nikah. A day before akad nikah, after I had my henna on, I went to Pertama Kompleks with Mya to get my new kurung altered. I also rented sampin and veil there. Then I bought nikah shoes and Nazli's new pair of baju melayu since the new kurung was of different color than the first one. All done a day before akad nikah but I was never a bridezilla (thank God). Kadang-kadang kalau kita tak memilih, beli baju off-the-rack itu lebih mudah, jimat dan puas hati.